Editor’s Note: In honor of Scott Kazmir being traded From the Oakland Athletics to the Houston Astros we take a look back at the curious rise and fall of the Houston native who rebuilt his career and became an All-Star when many thought he had nothing left in the tank in a column that originally appeared last July. Hollywood, and the world of sports, both love a good comeback story of redemption. Whether it is the story of a loveable group of misfits banding together and claiming a title, or a washed out boxer making one more trip into the ring, the Hollywood movie machine churns out film after film that tugs at the heart strings of movie goers and helps them believe in the underdog. Of course occasionally the world of fact trumps the world of fiction when it comes to tales of redemption and making the most out of second chances. For a real life story of redemption, that very well could have the stuff of a Hollywood blockbuster, let us consider the curious case of Oakland Athletics pitcher Scott Kazmir who was named to his third career All-Star team over the weekend, and first since 2008. Kazmir was drafted by the New York Mets in the first-round in 2002 and was traded to the Tampa Bay Devil Rays organization two years later. 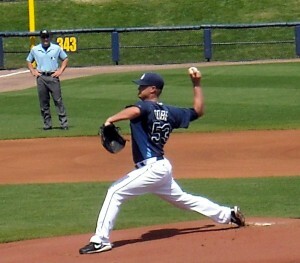 Kazmir helped lead the Rays to the World Series in 2008. Scott Kazmir made is Major League Baseball debut with the Tampa Bay Devil Rays and his Atlantic League debut with the Sugar Land Skeeters. Following the World Series run the Rays traded Kazmir to the Los Angeles Angels of Anaheim midway through the 2009 season. Following the trade Kazmir’s “True Hollywood Story” included some mighty struggles. Although many players struggle to adapt to their new surroundings following a trade, the struggles of Kazmir were epic in nature. After two extremely rough seasons in Southern California Kazmir was released by the Angels on June 15, 2011 despite having $14.5 million remaining on his guaranteed contract. Kazmir failed to get picked up by another Major League club following his release from the Angels and his career seemed all but over despite being less than three years removed from appearances in both the All-Star Game and World Series. History is full of players who seem to suddenly lose their stuff for no apparent reason. While injuries can often be blamed for declines in performance sometimes a player, such as Kazmir, just starts to see their performance fade without suffering the type of career ending injury experienced by many. Of course sometimes the mental aspect of the game can be just as debilitating as an injury and players often have to struggle to overcome doubt and other mental factors to return to the top of their game. Kazmir was out of Major League Baseball for two seasons as he continued to struggle with his mechanics and other factors that had rendered the once dominant hard to hit pitcher as easy to hit off of as a pitching machine. The true rock bottom for Kazmir likely came when he signed with the Sugar Land Skeeters of the independent Atlantic League on July 7, 2012. 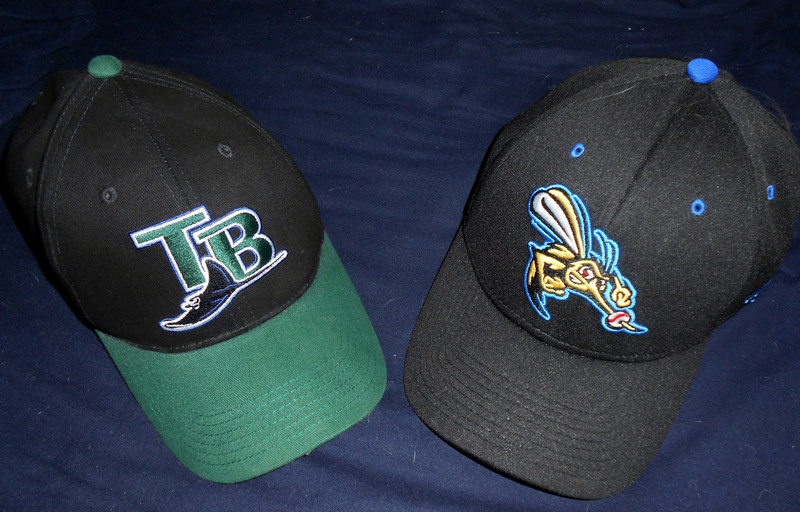 While the Skeeters represented a chance for Kazmir to play baseball near his home town it was likely a huge shot to the ego to be playing on a team that had no Major League affiliation. While the Skeeters offer a competitive atmosphere, and the Atlantic League often has players who sign Minor League contracts with Major League ball clubs, the adjustment period for Kazmir likely was difficult as very few players on independent league rosters have World Series starts on their resumes. Kazmir started 14 games for the Skeeters during the 2012 season and finished with a 3-6 record and a 5.34 ERA. Following the end of the Skeeters’ season Kazmir signed with Gigantes de Carolina of the Puerto Rican Professional Baseball League posting a 4.37 ERA while striking out 27 batters in 23 innings. The time with the Skeeters and the Gigantes had gotten some attention and the performances earned Kazmir an invite to the Cleveland Indians Spring Training in 2013. It is fitting in a way that it was the Indians that invited him as the Major League movie franchise focuses on the Indians being a place where players that seem to be washed out can find second chances. Our Hollywood story could easily have ended right there with Kazmir getting a chance for one more Major League Spring Training before calling it a career after failing to crack the starting rotation of the Indians as a non-roster invitee. But Kazmir did crack the rotation for Cleveland out of Spring Training and excelled with the Indians to the point that the Oakland Athletics signed him to a two-year $22 million contract prior to the start of this season. In year one of the deal Kazmir has been the Athletics most consistent starter and earned a place on the All-Star Team. With the Athletics currently holding the top spot in the American League West standings it is entirely possible that Kazmir will pitch in the postseason once again six years after tasting the postseason for the first time with the Rays. It is even within the realm of probability that the Athletics could make it all the way to the World Series. While the Scott Kazmir story of second chances is certainly still being written, a very strong footnote would be to have him hoisting a World Series trophy in October. Yes, sometimes reality does trump fiction when it comes to the magical Hollywood ending and after several seasons in the valley, that featured stops through the Atlantic League and Puerto Rico, Scott Kazmir appears to be making the most of his second chances. Now if you’ll excuse me, I need to practice my pitching in case Hollywood needs a southpaw to portray Kazmir in the movie of his life. Editor’s Note: In the spirit of seeking sunshine during a gray winter, and to help usher in the upcoming baseball season we will be featuring baseball movies every Monday between now and Opening Day. Today we look at the fantasy baseball aspect of Major League Baseball with the trend that started it all in Moneyball. Few people can argue that the game of baseball was forever changed when the sabermetrics element of the game was moved from the back rooms, and fantasy baseball leagues to the general manager’s office. Like it or not the advanced analytics are here to stay and are featured in the movie Moneyball which is the true story of how one team’s front office broke with tradition by using charts and graphs to build a team in a way that changed the game of baseball. The film is based on Michael Lewis’s 2003 book, Moneyball, which follows the Oakland Athletics 2002 season and general manager Billy Beane’s (Played by Brad Pitt in the movie) attempts to assemble a competitive team through nonconventional means. Instead of relying on the eyes and ears of baseball scouts on the road, the new analytical baseball method relied on computer programs showing where certain players excelled based on historical averages and on base percentage. 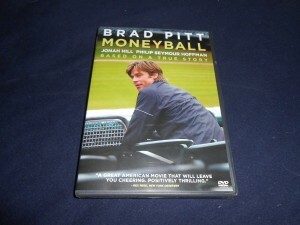 Moneyball starring Brad Pitt and Jonah Hill star in Moneyball which brings the world of sabermetrics to the big screen. The idea behind this new approach was that small market teams could spend more wisely on players who got on base more often instead of trying to go dollar to dollar with big market teams who spent more on a single player than many teams spent on their entire rosters. While a new concept when it was introduced by the Athletics in the 1980’s, almost every team today using sabermetrics to one degree or another to build their rosters each year. Whether sabermetrics is good for baseball in the long run is still up for debate. It has certainly allowed many smaller market teams the ability to be competitive and stand toe to toe with the big spenders in baseball for the past few decades. The big spending teams are still around but through Moneyball inspired roster building a few smaller teams have found ways to crash the playoff party now and then. Of course even the big spending teams have adapted some of the sabermetric philosophies including the Boston Red Sox who used a variation of the Oakland formula to compile the roster that won the 2004 World Series. 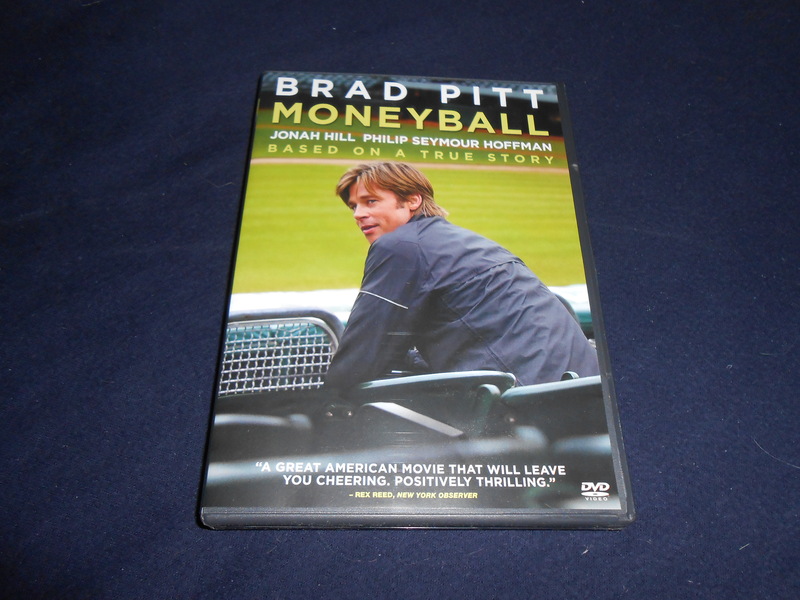 While the past few decades have certainly proven that sabermetrics is certainly not going away any time soon, for those wanting to see how it all began Moneyball is the way to go. Now if you’ll excuse me, all this talk about statistics and math has me feeling a bit queasy. Another non-waiver trade deadline has come and gone in Major League Baseball. As is the case every year when Major League Baseball’s Silly Season concludes there were winners and losers with the rich in talent teams getting richer and the rebuilding teams continuing to rebuild. Each year teams are labeled as either buyers or sellers at the deadline as they seek to either add players to help them in the short term or trade away players for prospects that they hope can help them in the long term. What is often lost in the midst of the trade deadline are the teams that are caught in the middle of having the record to be deemed a contender and those that are in wait until next year mode. The Tampa Bay Rays, who were considered by some experts to be World Series favorites at the start of the season, found themselves in the murky middle ground when it came to their ace pitcher David Price. 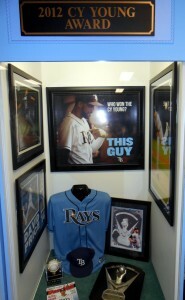 David Price, the 2012 American League Cy Young Award winner, was traded to the Detroit Tigers Thursday afternoon. Many teams would give their left arms for a chance to add the former Cy Young Winner to their rotation but with the Rays overcoming a rough start to the season to finally play solid baseball which has them only eight games out of first place in the division, and about five games out of a Wild Card spot, one could argue that Price was needed to make a valid postseason run. Repeatedly team management stated that it would take an epic “knock their socks off” offer from a team that included several top tier prospects to make them part with their ace at the deadline. In the end the Rays traded Price to the Detroit Tigers for a less than sock losing trio of players that appear to have far less upside at the moment than Price. With the trade the Tigers now have three Cy Young winners in their rotation and seem destined for another American League Championship Series showdown with the Oakland Athletics who also added depth to their rotation prior to the trade deadline. 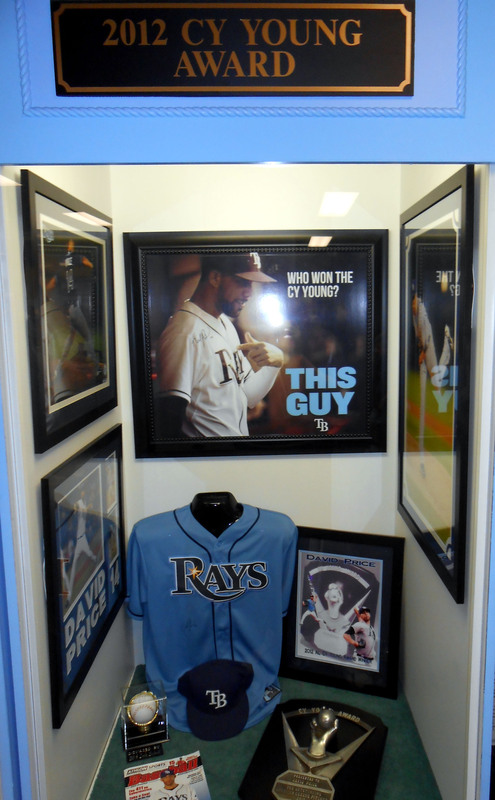 Trades in baseball are nothing new but when a team trades away a fan favorite and leader in the clubhouse, such as Price who spent seven seasons with the Rays, there is always bound to be push back from the fans. 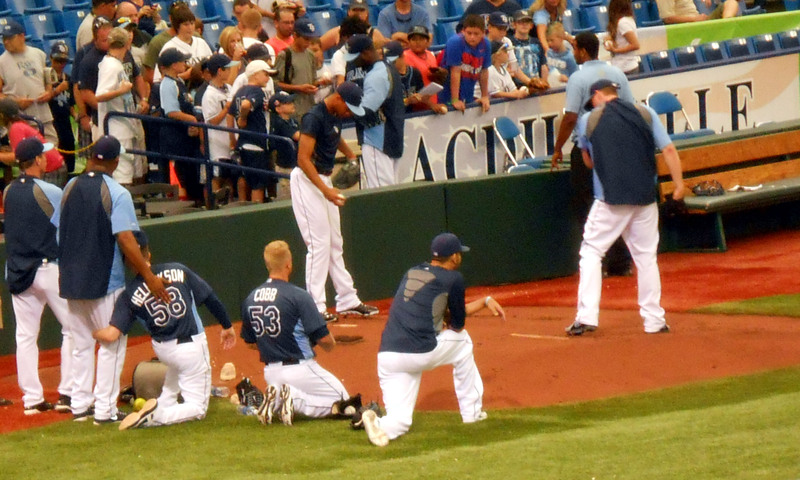 As expected when news broke that Price had been traded, many fans filled team message boards with angry comments saying that they were done supporting the Rays. Others asked how they could have traded Price for so little in return. The answer to why the trade was made comes down to economics. The Rays have a long history of trading their aces when they are due big raises in free agency since Tampa Bay does not have the payroll flexibility to match many other teams when it comes to salary offers. 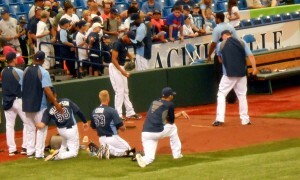 David Price (far right) anchored the Tampa Bay Rays pitching staff and became the latest ace to be traded by the Rays. Time will tell which pitcher picks up the slack and leads the staff with Price gone. David Price just becomes the latest pitcher to be traded by the Rays joining Matt Garza, Scott Kazmir, and James Shields. What makes the Price trade different is the fact that it came in the middle of the season while the Rays were still driving for the playoffs. Previous trades of pitchers and other impact players were usually made during the offseason. In reality the Rays still faced a tough task in making the playoffs even with Price since the Orioles were winning just as many games as the Rays making it impossible to cut into Baltimore’s division lead. But the Rays certainly still had a shot at making the postseason. Trading Price away during that run will likely affect clubhouse morale as well as well as fan reaction to the perception that the Rays have given up on the current season. Many fans get heavily invested in players and when a long-time player is dealt it can feel like losing a close friend or family member. I can still remember the disappointment I felt while sitting at Minute Maid Park a few years ago after learning that the Houston Astros had traded Lance Berkman to the New York Yankees right before he was scheduled to play. It had seemed like Berkman would spend is entire career as an Astro. 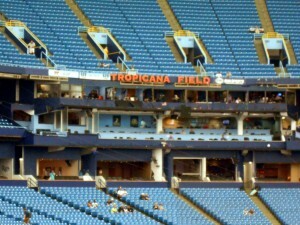 Following the announcement that David Price was traded many Rays fans stated that they would not return to Tropicana Field. It is unlikely that such a fan boycutt would have any measurable effect on the bottom line financials for the team. The harsh reality is most teams do not base their business decisions on the desires of the average fan. Baseball is a business and like any other business it is driven by profits and the bottom line. For baseball teams the bottom line is enhanced through corporate sponsorships, suite sales, and television revenue. While the money generated by a fan attending the game’s in person is certainly icing on a team’s financial spreadsheet it is a mere drop in the bucket for most teams meaning that the loss of a few hundred or even a few thousand fans is not going to affect them long term. Once of the reasons often given for any new Ballpark or stadium project is the need to add additional luxury suites to increase revenue from the corporate community. Suites equal big bucks for teams at all levels of baseball. Rarely, if ever, will a team say that they need a new facility to make more affordable family seating in the outfield. While those shots of happy families eating cotton candy look great on television, the fact remains most teams would prefer to have a Ballpark full of corporate clients spending big bucks on suites as opposed to stands full of families. That is just the reality of the game and fans can either accept that fact to continue to have their hearts broken whenever a favorite player is traded away. The days of a player spending their entire career with a single team and retiring to either become the manager of the team or a broadcaster covering the games are very likely behind us. In fact, when the farewell tour of Derek Jeter’s 20 years in Yankee pinstripes is over it is likely that there will never be another player to spend two decades with the same team. Alex Cobb will likely be one of the key pieces of any future success of the Tampa Bay Rays following the trade of staff ace David Price. 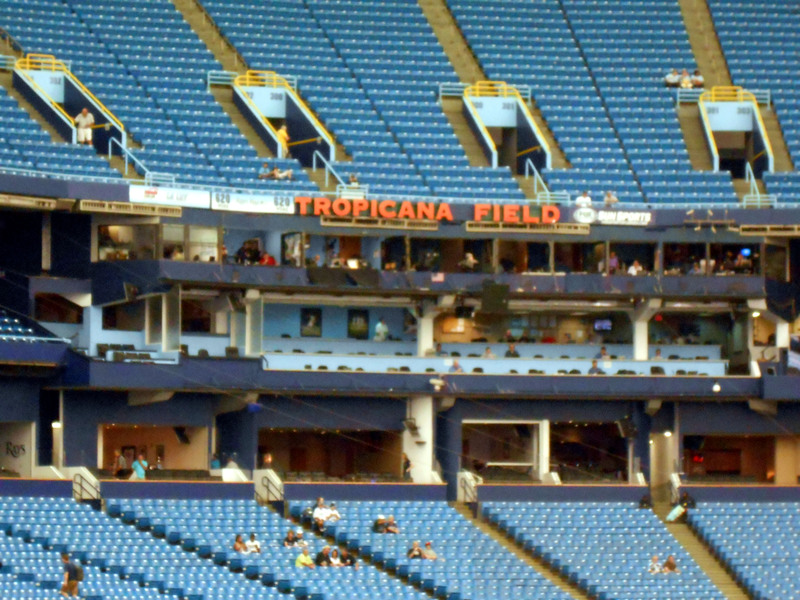 Time will tell if the fans boycott Tropicana Field the rest of the season as some have suggested in response to the Price trade. Attendance at the Trop, and the desire for a new stadium, will likely continue to be a hot topic between St. Petersburg officials and team ownership this off season as has been the case for several years now. But as long as the high rollers keep going to the Ballpark and filling the suites the loss of some disgruntled fans is not going to affect the Rays pocket books. Welcome to the new reality of baseball where the bottom line trumps the box score every time. Now if you’ll excuse me, I need to see how DJ Kitty is handling the news. The true rock bottom for Kazmir likely came when he signed with the Sugar Land Skeeters of the independent Atlantic League on July 7, 2012. While the Skeeters represented a chance to play baseball near his home town it was likely a huge shot to the ego to be playing on a team that had no Major League affiliation. But Kazmir did crack the rotation for Cleveland out of Spring Training and exceled with the Indians to the point that the Oakland Athletics signed him to a two-year $22 million contract prior to the start of this season.